West Midlands Police are currently leading two successful campaigns in the fight against motorcycle crime. 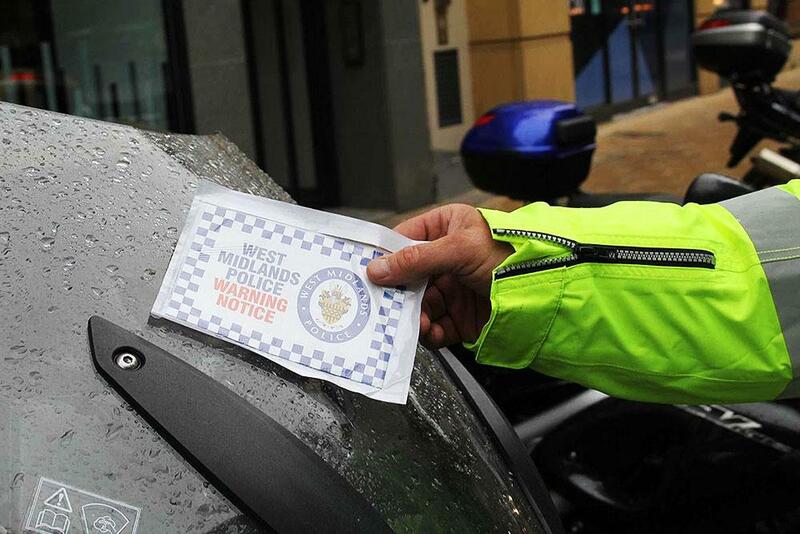 The ‘Lock it or Lose it’ campaign has seen officers leaving notices on motorcycles and scooters parked in Birmingham city centre after a substantial increase of over 50% in the number of thefts during the first half of the year. A study in August found that only 40% of motorcycles and scooters parked in the city centre were secured with a disc lock or chain, making them easy targets for opportunist thieves. The simple campaign then saw police stick notices to either the windscreen or seat of vulnerable machines with a message to riders that encourages them to secure their machines. It seems to be having a positive effect too, with follow-up reports now suggesting that more than 90% of the bikes in the areas where the operation has been taking place now secured. 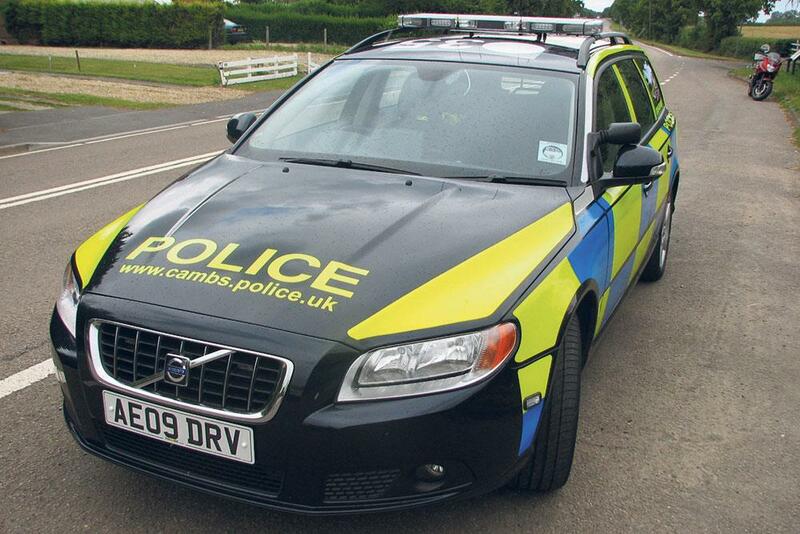 PC Paul Ennis is leading the campaign and has said that riders have responded well to the advice. "People can get a little defensive when they are approached by a Cop, but I have been very impressed by the very supportive comments and gratitude shown to us all. It has been a really positive experience. "When we set out on this campaign, we had one simple objective to make riders aware of the risk of theft when parking a motorcycle and to use some additional security. When we started this, the majority of motorcycles in this area were inadequately protected. Today the majority are well protected!" It’s an encouraging statistic in a year that has seen a huge increase in motorcycle-related crime. Motorcycles and scooters have often been targeted by thieves as they are easy to steal. Police forces are often caught between a rock and a hard place too, with thugs taking advantage of the fact that forces are cautious to give chase to the vulnerable road users, who often ride without helmets. While there currently isn’t a ban on police pursuing these riders, there are concerns among officers following the death of 18-year-old Henry Hicks in 2014 after he lost control of his moped while being pursued by two unmarked cars. The officers involved in the chase are now facing gross misconduct hearings in relation to the death, dissuading other offices from giving chase in similar situations. It is often the case that stolen motorcycles and scooters are then used in further crime, with some horrendous cases where victims have been subjected to vicious acid attacks or robberies. With more secured bikes, it is hoped that this can help to deter the thefts of these vehicles and prevent further crimes being committed. The ‘Lock it or Lose it’ campaign is operating as part of the Motorcycle Industry Association’s MASTER Security Scheme, which aims to encourage riders to use chains and physical locks on their machines where possible. 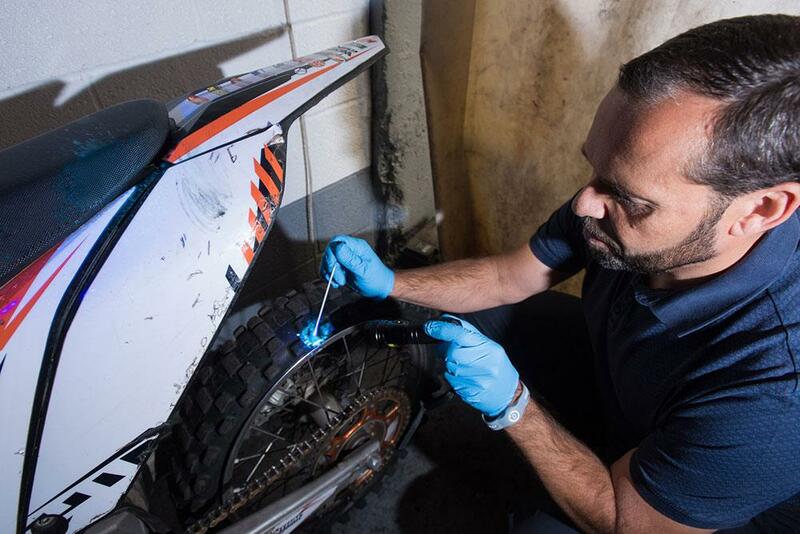 Another campaign from West Midlands Police is seeing officers being armed with DNA spray that can be used to identify motorcyclists riding dangerously or anti-socially. The move comes after a spate of offences being committed on streets and in parklands, where riders of off-road machines have posed a serious threat to public safety. The DNA spray contains an invisible liquid that illuminates when exposed to UV light. Each canister has a unique identity, meaning that officers can trace suspects to an individual crime or incident. Leading the operation against reckless biking is West Midlands Police Chief Superintendent, Dave Sturman. He said, “The DNA spray is an inert, water-based product – it’s not an irritant and won’t cause any side effects – but it leaves an indelible mark that cannot be scrubbed off. 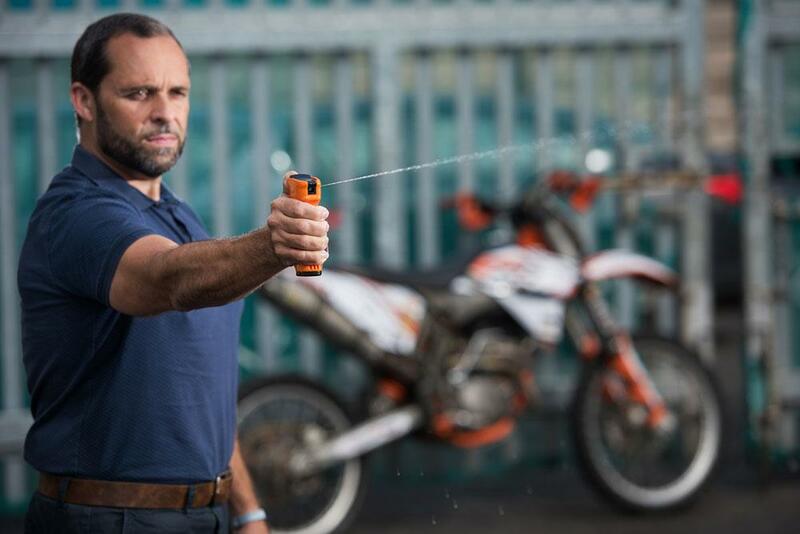 “It officers are unable to apprehend offenders at the time they can utilise the spray – and if it later shows up on suspects, their clothes or bikes we can link them to a particular incident. 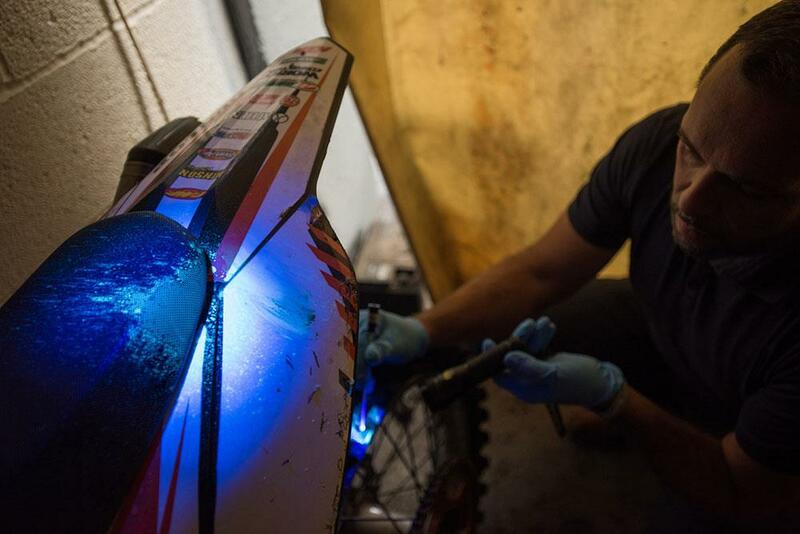 There have been 38 motorcycles seized in two separate operations in the last 10 months leading to more than 50 suspects who currently under investigation and could face a potential jail sentence if charged by the Crown Prosecution Service under ‘public nuisance’ legislation.